Some details above on Bert Grant's career came from an August 2001 LA Times obituary. Some information on the TTB ruling came from a June 2013 Washington Post story. The ruling itself can be accessed via the TTB website, as a pdf: here. The BATF used a 1954 finding as basis for its action against Grant. It's cited in a 1994 article by the Reason Foundation, which recounts more about Grant's and others' insalubrious encounters with the BATF. Post Prohibition until 1995, the publication of alcohol content on beer labels had been forbidden by the Federal government, although required on wine and spirits. It took a Supreme Court case, won by Coors Brewing in 1995, to allow it, on a voluntary basis. 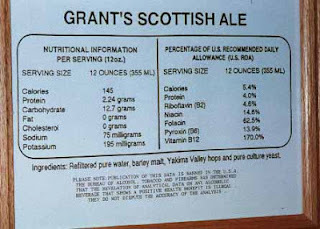 I never made it to the Yakima brewpub, but I did attend two tastings at the Brickskeller, across the continent in Washington, D.C., when Bert Grant, and his partner and wife, Sherry, were the special guests. The second one was held in, I believe, 1995. The Grants brought with them a firkin of cask-conditioned beer, a relative rarity in the U.S. at the time. 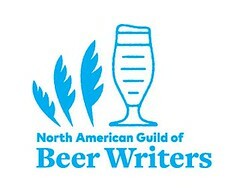 I remember telling my date, "This is why I make beer." The late, great Michael Jackson wrote an appreciation of Bert Grant, entitled How Bert Grant Saved The World, that gives you a reader a good sense of the man, his mien, and his accomplishments. 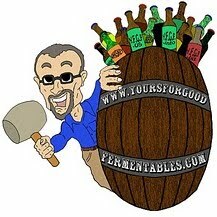 And, thanks to Steve Frank, one-half of the Maryland-based Brews Brothers for an edit. 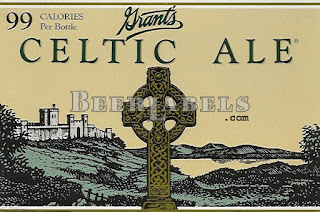 The photo of the Celtic Ale label is re-printed here, courtesy BeerLabels.com, hence the watermark. Give the bureaucrats a few years. They'll decide that they made an error of processing or judgement or something with that ruling, and turn around and impose new regulations, or start enforcing the old ones anew. If there's one thing consistent about alcohol-industry regulation (if not bureaucracy in general), it's inconsistency.